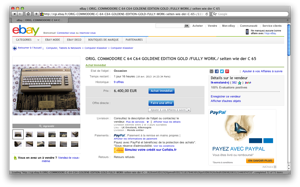 Commodore 64 Gold Edition on Ebay.fr. 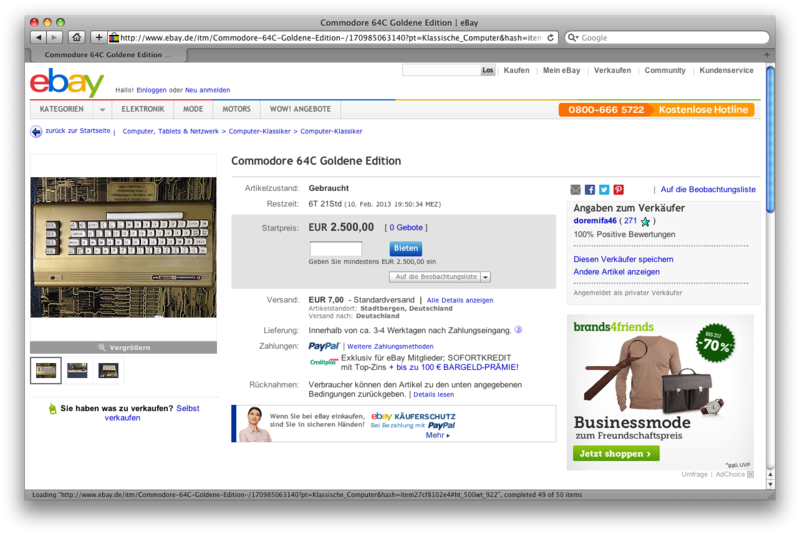 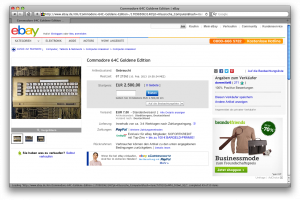 Commodore 64 Gold Edition on Ebay.de. A rare Commodore 65 on eBay.com. 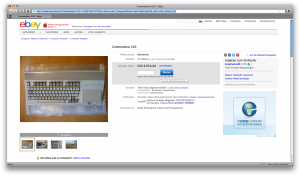 The Commodore 65 (also known as the C64DX, not to be confused with the Commodore SX-64 portable unit) was a prototype computer created by Fred Bowen and others at Commodore Business Machines (CBM) (part of Commodore International) in 1990–1991. 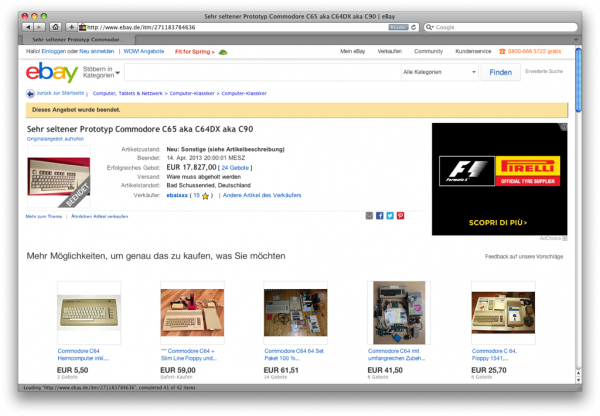 The project was cancelled by CEO Irving Gould. 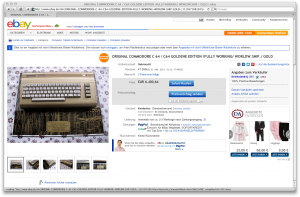 The C65 was an improved version of the Commodore 64, and it was meant to be backwards-compatible with the older computer, while still providing a number of advanced features close to those of the Amiga. 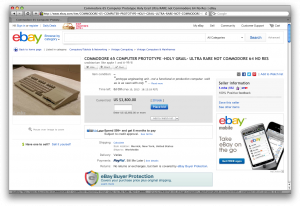 It can be regarded as a counterpart to the Apple IIgs in providing 16-bit-equivalent technology on an 8-bit platform, though the IIgs used an 8/16 bit 65C816 processor. When Commodore International was liquidated in 1994, a number of prototypes were sold on the open market, and thus a few people actually own a Commodore 65. 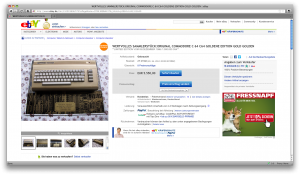 Estimates as to the actual number of machines found on the open market range from 50 to 2000 units. 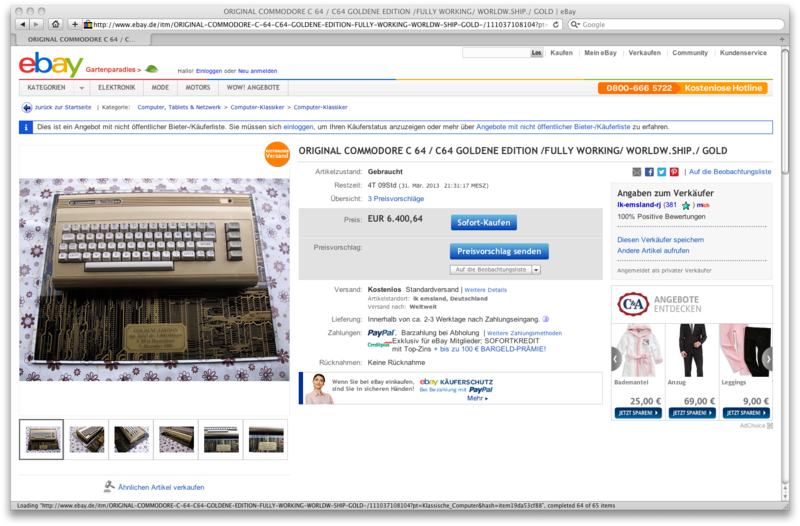 As the C65 project was cancelled, the final 8-bit offering from CBM remained the triple-mode, 1–2 MHz, 128 kB (expandable), C64-compatible Commodore 128 of 1985. 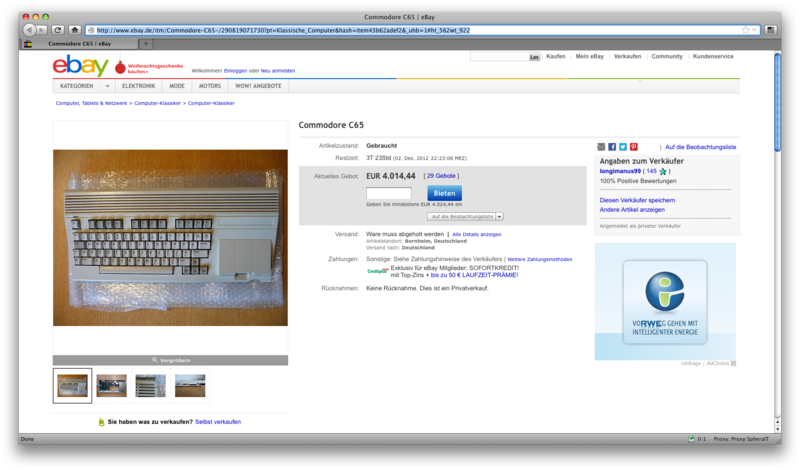 A rare Commodore 65 on eBay. 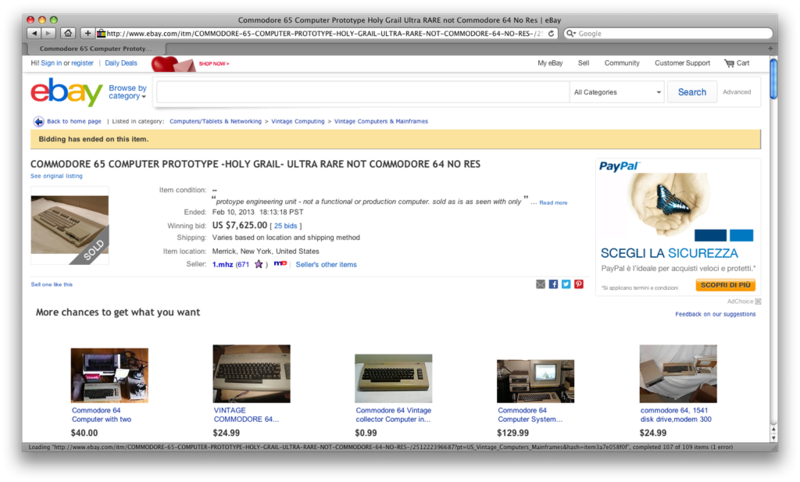 Commodore 64 Gold Edition on Ebay.